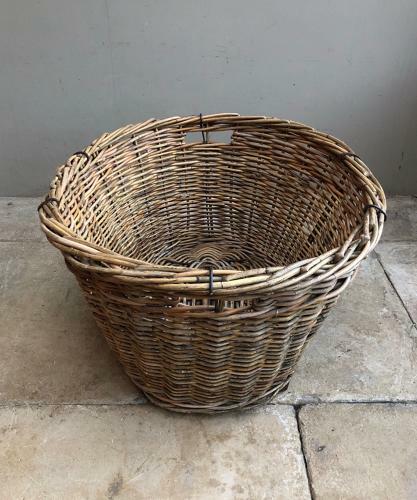 HUGE & Fantastic Condition Antique Laundry Basket...the size and strength means it would also make an excellent log basket. No damage...solid and strong with wooden slats on the base. No worm. Too large to post, so Collection or Courier UK £45 (Not including Scotland).